Maritime surveillance represents a challenging scenario for moving object segmentation due to the complexity of the observed scenes. The waves on the water surface, boat wakes, and weather issues contribute to generate a highly dynamic background. Moving object segmentation using change detection under maritime environment is a challenging problem for the maritime surveillance system. 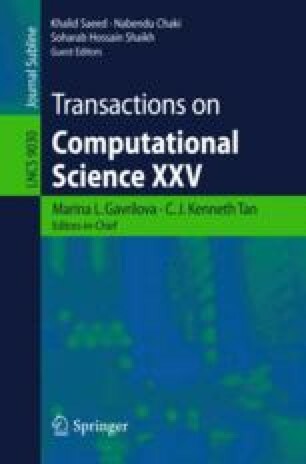 To address these issues, a fast and robust moving object segmentation approach is proposed which consist of seven steps applied on given video frames which include wavelet decomposition of frames using complex wavelet transform; use of change detection on detail coefficients (LH, HL, HH); use of background modeling on approximate co-efficient (LL sub-band); cast shadow suppression; strong edge detection; inverse wavelet transformation for reconstruction; and finally using closing morphology operator. For dynamic background modeling in the water surface, we have used background registration, background difference, and background difference mask in the complex wavelet domain. For shadow detection and suppression problem in water surface, we exploit the high frequency sub-band in the complex wavelet domain. A comparative analysis of the proposed method is presented both qualitatively and quantitatively with other standard methods available in the literature for seven datasets. The various performance measures used for quantitative analysis include relative foreground area measure (RFAM), misclassification penalty (MP), relative position based measure (RPM), normalized cross correlation (NCC), Precision (PR), Recall (RE), shadow detection rate (SDR), shadow discrimination rate, execution time and memory consumption. Experimental results indicate that the proposed method is performing better in comparison to other methods in consideration for all the test cases as well as addresses all the issues effectively.